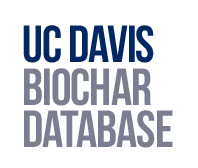 Welcome to the UC Davis Biochar Database. The database serves as an open-access tool for biochar users, manufacturers, and researchers. This database was initially released on May 1, 2013 and we will continue to work to increase the number of biochars which are included. We hope you see the value in this resource and will contribute and participate in this community centered biochar project. Biochar is charcoal created from pyrolyzed biomass, and differs from charcoal only in the sense that its primary use is not for fuel but rather as a soil amendment. Biochar research, although still in its infancy, has generated much interest as a soil amendment due to its potential for increased soil fertility, water holding capacity, greenhouse gas reduction and carbon sequestration. 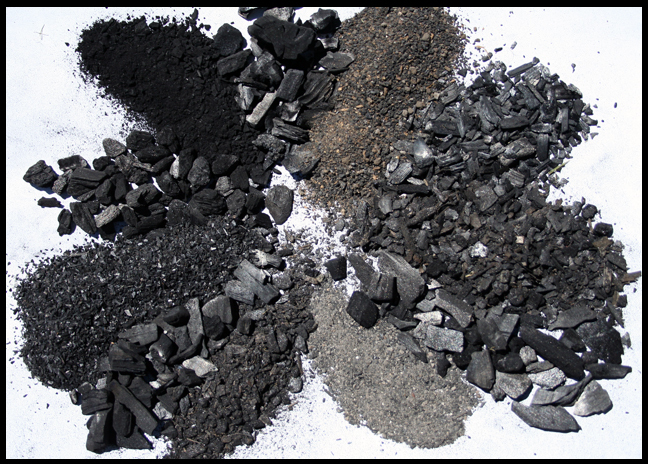 The relatively low entry barrier to biochar manufacturing has resulted in many suppliers producing boutique biochars which make use of a variety of feedstock materials. Even with the current public interest in this material, our understanding of how biochar properties impacts the potential benefits is largely inadequate. This deficit in basic biochar science makes it difficult for biochar end users to make informed decisions regarding the specific biochar properties to consider when selecting a particular biochar for their use. The idea for this database arose from this research conducted in the Parikh Environmental Soil Chemistry Laboratory at University of California, Davis which aimed to determine trends in biochar physical and chemical properties based on feedstock source. The UC Davis Biochar Database was launched as an open-access resource to facilitate bridging this gap. This database is open to all manufacturers (commercial and non commercial) to input data specific to their biochar or from peer reviewed publications dealing with biochar characterization. Information about the individual entries follows the categories of the International Biochar Initiative -The Standardized Product Definition and Product Testing Guidelines for Biochar That Is Used in Soil.